Quiet setting surrounds this stunning home in DRW. Open concept living area with spacious kitchen that includes propane cooktop, double oven, granite countertops, large island and walk in pantry! Desired master bedroom on the main level. Large master shower with double vanity, tiled walk in shower and separate soaking tub. Possible 5th bedroom on main level currently used as office but has a closet and could easily be used as an additional bedroom. Enjoy bonus room/loft upstairs. 3 good sized bedrooms on the 2nd level and full bathroom with double vanity. Attached, oversized 3 car garage. Large utility room downstairs with sink and ample counter space. Covered patio out the back, perfect for entertaining. This home sits on a fabulous lot with mature pine trees, privacy and plenty of room to park RV, boat and toys! Listing provided courtesy of Stellar Realty Northwest. I was searching for a Property and found this listing (MLS #201900056). 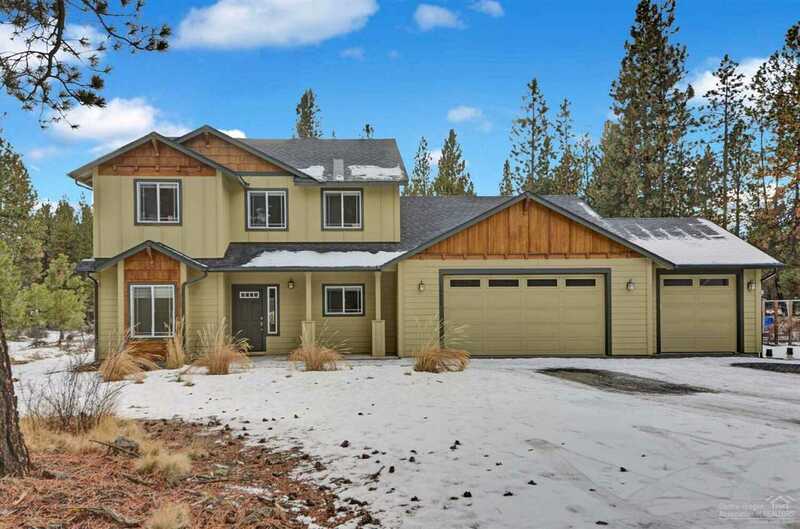 I would like to schedule a showing for 18903 Tuscarora Lane Bend, OR 97702. Thank you! I was searching for a Property and found this listing (MLS #201900056). Please send me more information regarding 18903 Tuscarora Lane Bend, OR 97702. Thank you! The content relating to real estate for sale on this website comes in part from the MLS of Central Oregon. Real Estate listings held by Brokerages other than The Hasson Company Realtors are marked with the Reciprocity/IDX logo, and detailed information about these properties includes the name of the listing brokerage. © MLS of Central Oregon (MLSCO). This content last updated on 4/19/2019 2:34 AM PST. Some properties which appear for sale on this website may subsequently have sold or may no longer be available. All information provided is deemed reliable but not guaranteed and should be independently verified. All content displayed on this website is restricted to personal, non-commercial use, and only for ascertaining information regarding real property for sale. The consumer will not copy, retransmit nor redistribute any of the content from this website. The consumer is reminded that all listing content provided by automatic transmission by MLSCO is © MLS of Central Oregon (MLSCO).